18 July 2017. A company making treatments for viral infections that stimulate natural T-cells in the immune system is licensing a related technology from Baylor College of Medicine. While the agreement calls for initial and progress payments to Baylor from ViraCyte LLC in Houston over a number of years, further financial details including dollar amounts were not disclosed. ViraCyte is a developer of synthetic virus-specific T-cells designed to stimulate immune responses fighting viral infections in people with compromised immune systems. Current anti-viral medications, says the company, have limited effectiveness in individuals without a robust immune system. ViraCyte notes that in early-stage clinical trials, more than 90 percent of participants in whom conventional treatments failed, respond to these anti-viral therapies, including elimination of the infections. The company is currently testing two types of anti-viral treatments. Its Viralym line of therapies are derived from T-cell donors, from which are extracted immune stimulant proteins and benign virus fragments. ViraCyte says a small panel of donors can create Viralym anti-viral infection treatments for 95 percent of people with compromised immune systems from receiving bone marrow stem cell transplants. The company’s Prelym line is designed to prevent up to 5 viral infections, and derived from a patient’s specific T-cell donor. The agreement with Baylor, also in Houston, gives ViraCyte an exclusive global license to a technology behind a collection of immunotherapies that target viruses by proteins on the cell surface called T-cell receptors. 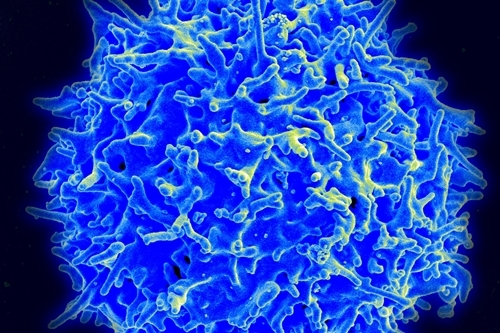 These proteins activate the immune response in T-cells to specific antigens. The licensed technology is expected to support ViraCyte’s infection therapies and preventive treatments. Under the deal, ViraCyte is paying Baylor an initial licensing fee, with the university eligible for future maintenance fees, additional clinical and regulatory milestone payments, and royalties on net sales. Dollar amounts for these parts or the overall agreement were not disclosed. The licensed technology is expected to help ViraCyte advance its lead product, Viralym-M, into later-stage clinical trials among children and adults with viral infections after receiving stem cell transplants.